Since the Camerons have arrived Darren has greatly enjoyed introducing some of his own American cooking to the children. Auntie Julie takes Friday afternoons and Saturdays off so one Friday he made Peanut Butter and Jelly sandwiches for all the kids. I’m sure it was a pile of loaves of bread and several jars of spread. These kids are accustomed to eating a lot of food. I would even guess they could take three sandwiches without being full. Last Friday he made Spaghetti and meat sauce. They loved this dish a lot more than the sandwiches. I’m not sure what he made today. If he isn’t careful he’ll find himself with a custom the children won’t do without: American Fridays. And I’m sure that’s just fine as long as he’s up for that! They think it is fun to try new foods. But we are quite serious at Kirabo Seeds not to “Americanize” the children. This is harder to do than we ever thought it would be. Mary Beth and I have many conversations on the phone discussing how to be careful that we are not setting American standards. Here are a few ways we try to keep things Ugandan. The kids use the outdoor latrines for the toilet. They also use the outdoor bathing room even though the house has many suitable bathrooms. We don’t buy American washing machines. All clothes are washed by hand. We don’t make a big deal about Birthdays because it isn’t a custom to celebrate them there. We don’t do presents at Christmas. We follow tradition and give a new set of clothing to each child. Every child wears a shaved head like all the other children they see. We allow the little children to eat with their hands if they choose not to use a fork. I carry boxes and boxes of books on the plane with me when we travel. Even the schools don’t have any books. They are so blessed to have these resources. They have computers and internet access to be able to learn skills. They eat a balanced diet with meat several times a week. We have milk delivered daily. They always have their school fees paid on time and not one child is ever shamed publicly because of unpaid fees. 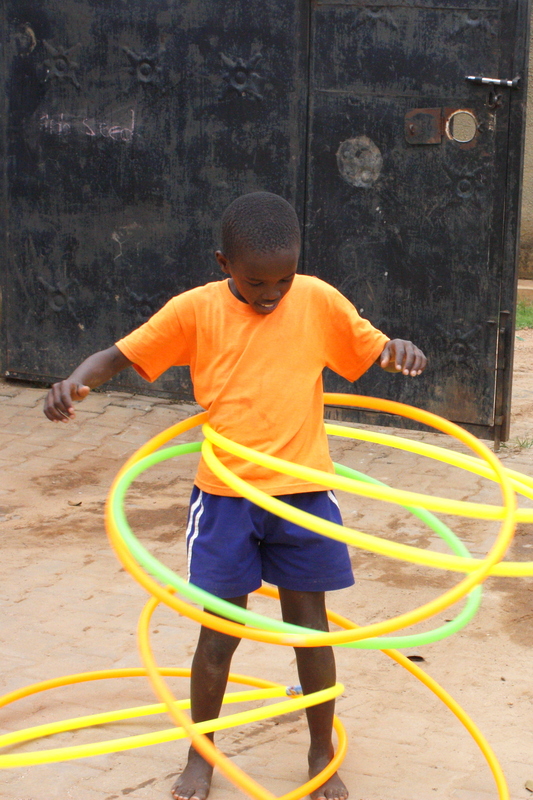 We thoughtfully organize their chores, their activities, and provide a schedule to keep them actively learning and engaging with their world. 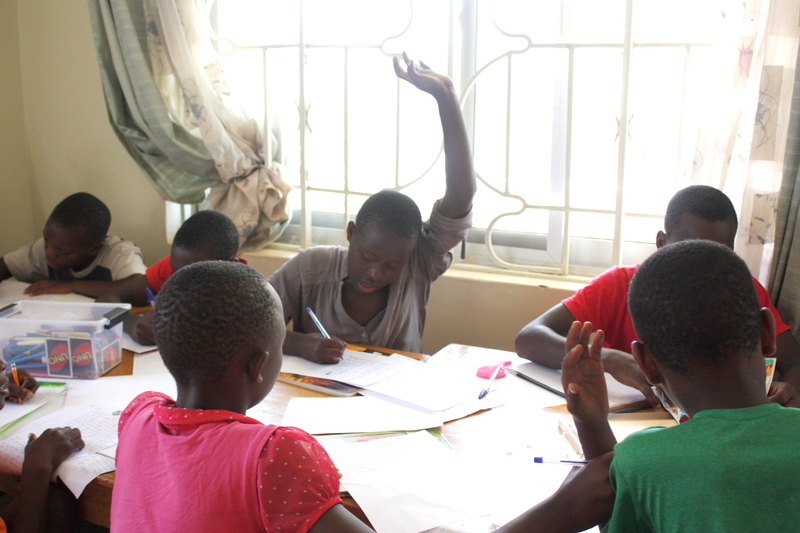 We supplement their school with helpful tutoring and learning activities. They get to watch a movie every Sunday night! 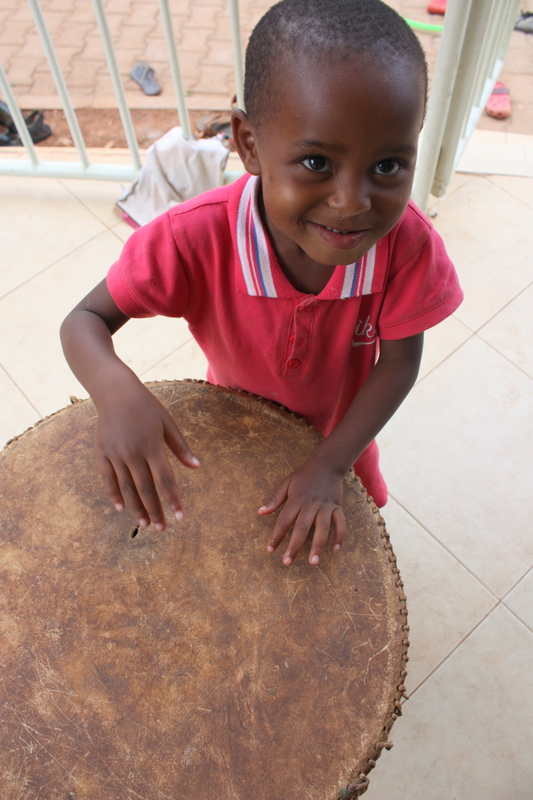 They receive weekly counseling to help them heal from the hurts of their past. They are taught not just to repeat what they hear about the bible with their mouthes, they are taught and expected the word of God to move into their hands an feet and make a difference in their relaitonships, work, and habits. Their music teacher comes on Saturday to teach them guitar and singing. These children are greatly benefitting from the structure of home life we provide at Kirabo Seeds. To know we are giving a safe environment for children who were once at great risk of falling through society’s cracks is unbelievably rewarding. It is worth the struggles. We know God cares for the orphan and so our job is to serve him and raise these children in the best way possible. We hope he is pleased that we seek to raise them in the ways of their culture but never at the expense of the ways of the bible. They don’t have to practice American style of living. But we do teach them to obey what the bible teaches. If this means to go against cultural customs then that is what we must do. The bible trumps all culture all the time. Staying within the boundaries of the teaching of the bible gives life purpose, passion, direction, safety, wisdom and salvation. On this point there’s no compromise. 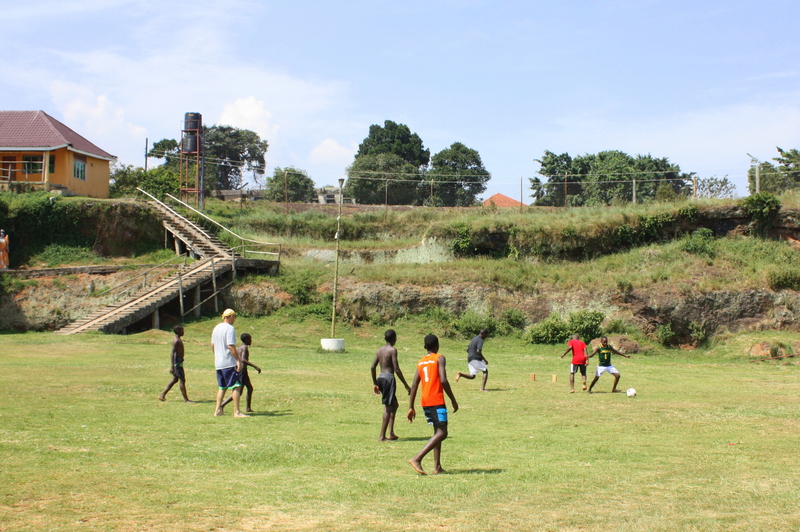 We provide shoes…but there’s something about playing football (soccer) barefoot that makes it really Ugandan. Hi! I was curious on your letter to sponsors do yall just mail them regular mail? We are starting that with our Type 1 diabetic children for Colors of Hope. And was just curious if you found what works best for yall? Thank you for this enlightening blog. I like the line “Bible trumps all culture”. That makes a clear distinction between “American” and Biblican.